HIT! 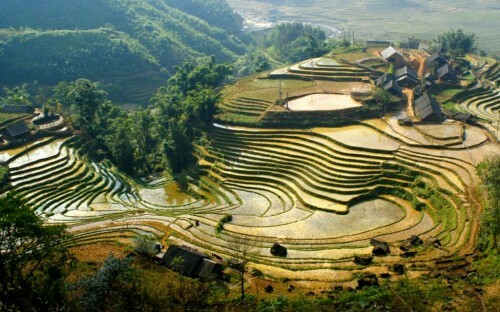 Cheap flights to Vietnam for only €257! Another offer from Etihad after yesterday’s incredible flights to Seychelles for €286 can take you to Vietnam. 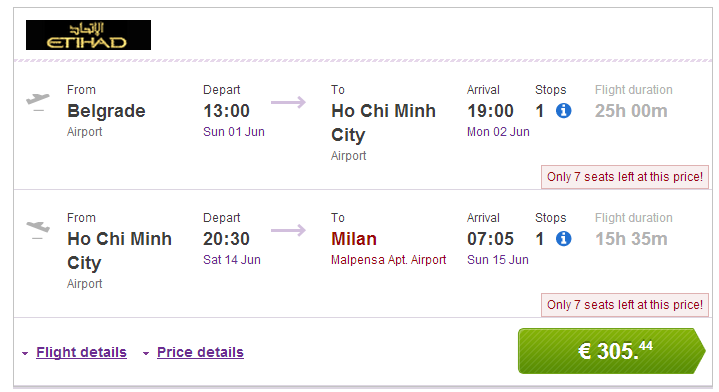 Multicity tickets Belgrade – Ho Chi Minh City – Milan are available for only €257! Travel dates are in June and there is one stopover in Abu Dhabi. Eurolines operates bus routes between Belgrade and many other cities in Europe for great price. The best price is available at AirFastTickets.de (German only), if you prefer booking in English reserve your tickets via BudgetAir for €305 (click on Show extra search options to enter return to Milan). « Cheap flights to China: Chengdu and Beijing from €426!